Denise Joyner West is the VP of Marketing for Technology Concepts Group International, LLC (TCGi). She is charged with creating new business opportunities for TCGi through webinars, direct marketing, social media and events. Denise has more than 20 years of marketing and business development experience in consumer product sales, brand management and media marketing. She spent almost five years as Marketing Director for ESSENCE Communication the parent company to ESSENCE Magazine. While reporting directly to the President she helped develop several new revenue streams for the company including a music label and a travel club. Denise spearheaded successful marketing and business development programs for the ESSENCE Awards TV show and the ESSENCE Music Festival. Her brand marketing experience includes five years in brand marketing with Nabisco for products such as Fleischmann’s Margarine, Royal Desserts and Squeeze Margarine. At Revlon, Denise launched Clean & Clean skin care line’s Bar and Buff product. She was also responsible for the package re-design and reformulation of Mitchum Antiperspirant and Colorsilk Hair Color. Denise also spent five years with Loews Corporation’s Lorillard Division on the Kent and True brands. Previous to that she worked for Eastman Kodak as a business development manager in the copier division. Responsible for the Newark territory, she was able to secure a multi-year contract with PSEG. 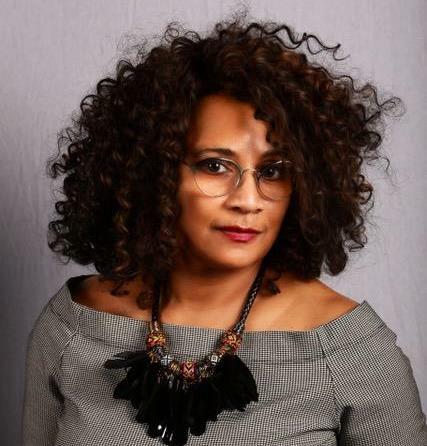 Since leaving Essence and prior to joining TCGi, Denise worked as a freelance marketing and sales consultant with companies such as Footsteps Group advertising agency (Omnicom Group) and Landy International, a Chinese manufacturing company of bath and body products. Denise has a Bachelor of Arts Degree in Psychology from Douglass College, Rutgers University and an MBA degree with a concentration in Marketing from Rutgers Business School (RBS). Since 2008, she has been President of the Edmund L Houston Foundations, a RBS alumni organization. The Foundation provides fellowships and grants each year to a deserving RBS minority MBA student. The Foundation also provides opportunities for current minority students to network with minority alumni of RBS. A self-described “read-aholic,” Denise also enjoys the beach, movies, travel, music and entertaining at home.